When chimneys get old or don’t receive annual maintenance they can quickly deteriorate and create hazardous conditions in your home. Cracked tiles and collapsing masonry can vent hazardous gases, smoke, or embers back into your house. Homeowners faced with a damaged chimney interior may choose to take the time and expense needed to tear down the existing chimney and have it replaced. For most homeowners, the faster and more affordable option is to have our local Milwaukee chimney repair experts reline your chimney with a stainless steel or aluminum insert. Chimney relining is necessary when the inner clay liner is cracked, deteriorated, over-sized, or no longer able to properly ventilate the byproducts of wood burning, such as smoke, creosote, and soot. These conditions may be the result of a number of possible causes, including flue fires, an improperly vented or misused stove, poor chimney construction, excessive moisture, and more. Relining the chimney will improve performance and keep your home properly ventilated. From single, straight flues to multiple-fireplace connected flues with bends and size changes, Wisconsin Chimney Technicians can reline virtually any chimney configuration you may have. We’ve worked with all types of chimneys and know how to best approach removing and replacing liners. Wisconsin Chimney Technicians restore chimneys by installing an insulated stainless steel chimney liner between the flue and walls. 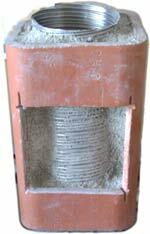 Steel resists damage commonly found in chimneys. All stainless steel chimney liners from Wisconsin Chimney Technicians carry a lifetime warranty. Not only does our chimney relining service safeguard your fireplace, it increases the resale value of your home. Potential buyers will love to know the fireplace has a long-lasting, durable liner. Wisconsin Chimney Technicians offers a wide range of chimney services throughout southeast Wisconsin, having worked in homes in Jefferson, Milwaukee, Waukesha, Racine, Walworth, Kenosha, Ozaukee and Washington Counties. Schedule an appointment with our experts if you suspect there is damage to your current liner. 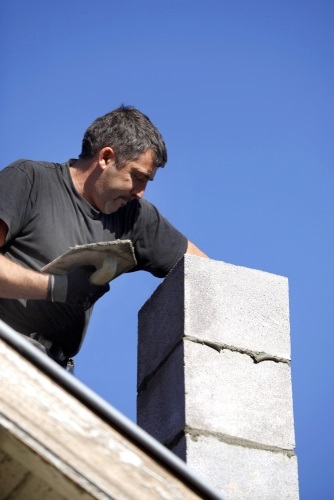 We will arrange an inspection and replacement if your chimney needs relining. 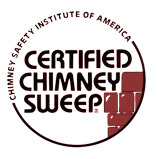 Contact Wisconsin Chimney Technicians for all your chimney, fireplace, and dryer vent cleaning services. 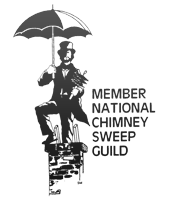 Our certified chimney sweeps are ready to help you. For chimney liner installation services, call (262) 443-5933.